With advanced deployment, target acquisition and attack capabilities, UVision’s unique Hero line of loitering munitions systems can loiter above a target and strike precisely when the opportunity arises, even if the target appears for only an instant. 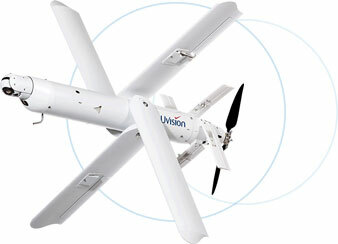 The smart loitering systems’ unique cruciform aerodynamic configuration enables beyond line-of-sight capabilities and high levels of maneuverability. Featuring complete connectivity to existing C4 systems, Hero’s advanced datalink and real-time intelligence deliver up-to-the-minute situational awareness to all military echelons – from the individual soldier to central command – for tactical, operational and strategic targets.